Payless Inc. is in talks with its lenders over a restructuring plan that includes closing about 1,000 stores as it wrestles with an unsustainable debt load, according to people with knowledge of the matter. According to “people with knowledge of the matter” who spoke to Bloomberg Markets, bankruptcy could be an option for the chain if lenders don’t allow it to close around 1,000 stores. Payless has about $600 million in debt, with a $520 million term loan due in just four years. You may remember that one of the factors that doomed RadioShack to bankruptcy was the refusal of its lenders to let the company close a signficant number of stores. The company wanted to close around 1,000 Shacks, but one of its senior creditors balked at the idea of shuttering so many locations. In general, it’s a bad time to be mall retailer, especially one in the apparel and accessories business. While the last year has seen teen-focused brands like Wet Seal, Aeropostale, and American Apparel collapse, older-skewing brands like The Limited haven’t been spared, either. 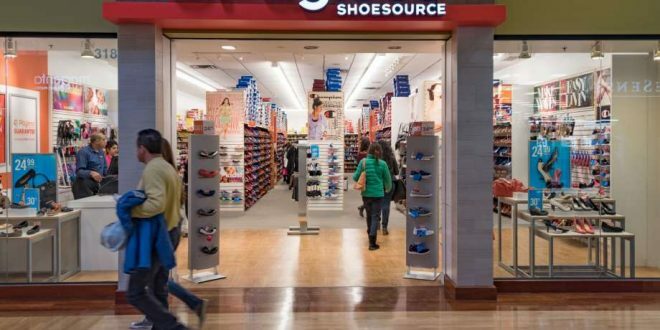 Payless sells shoes for people of all ages and both sexes, but enough consumers have shifted to buying everything online, even shoes, that more than 4,000 small discount shoe stores in malls and strip malls are no longer necessary. Other popular mall retailers that investment analysts have identified as being potentially in trouble include Claire’s, Gymboree, J. Crew, and Rue21.